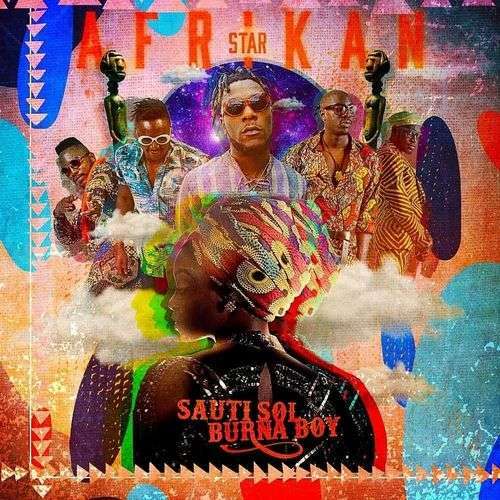 Award winning Kenyan music group, Sauti Sol links up with Burna Boy on this new joint dubbed Afrikan Star. The record is taken off their Collaborations LP which be released in November. Sauti Sol has promised to drop at least one record from the project every month till November. Afrikan Star is a follow up to their previous released singles off the project, Melanin featuring Patoranking and Girl Next Door featuring Tiwa Savage. Award winning Kenyan music group, Sauti Sol links up with Burna Boy on this new joint dubbed Afrikan Star. The record is taken off their Collaborations LP which be released in November. Sauti Sol has promised to drop at least one record from the project every month till November. Afrikan Star is a follow up to their previous released singles off the project, Melanin featuring Patoranking and Girl Next Door featuring Tiwa Savage. So baby tell me what you’re into…! With your fine face and your lips too…! Uuh! … and your hair girl…,! So maybe tell me what you’re into …holla! Lemme tell you what i’ve been through…fire! Mad life won’t be simple…for ya! But anything you say I do do do do do….for ya! And your body shake a na! (…aaaah) …body shake a na! Girl your pretty (…..eeeh) face and your figure eight a na!